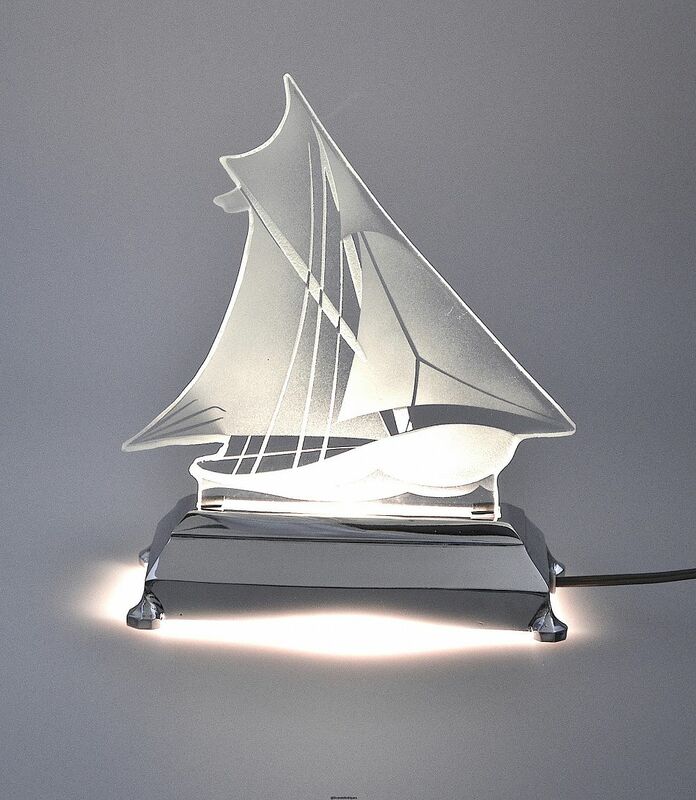 This is a really fabulous table lamp! Simply described it is designed as a yacht in full sail! 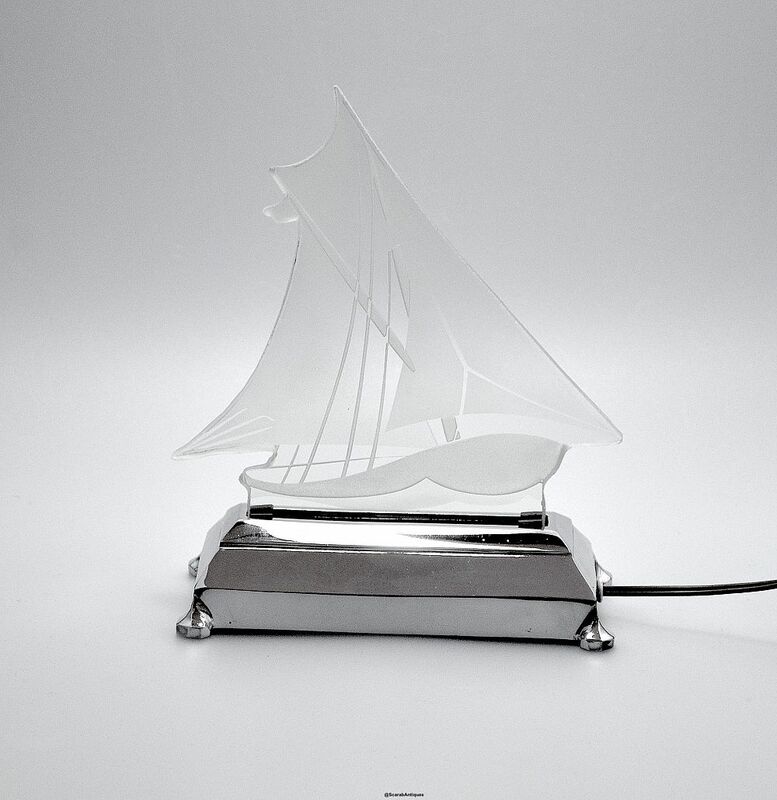 The rectangular chrome stepped plinth has an opening at the top into which fits the glass that has been cut and acid etched on the reverse as a yacht in full sail. Once the lamp is switched on the glass is lit from the bottom via the light fitting that is in the chrome plinth.